We first met Jenny Milchman when we heard about some crazy book tour she was doing that seemed almost as ridiculous as the book tour we were doing. Essentially, The Book Doctors have been on tour for seven years, during which time we’ve done over 300 events. We wanted to connect with Jenny to see how she was doing it, and maintaining her sanity. When we reached out to her, we found out she was not only a wonderful writer, but also a wonderful human, generous, smart, funny, down-to-earth, full of joy and expertise. Now that she has a new book out, we thought we might pick her brain about books and writing and yes, touring. The Book Doctors: How did you first become interested in being a writer? 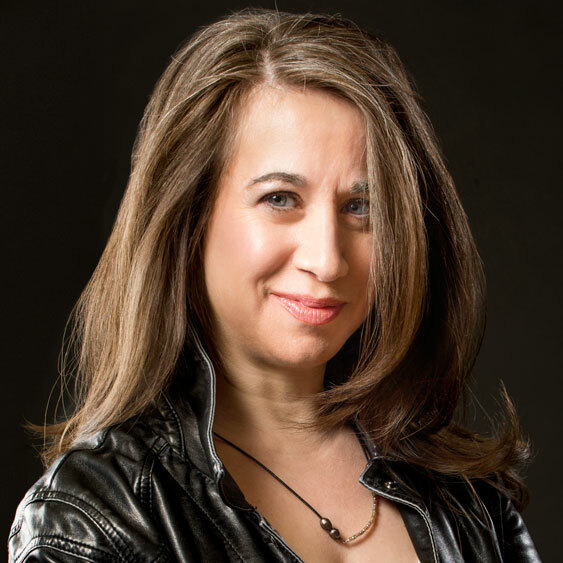 Jenny Milchman: I don’t remember a time when I didn’t want to be one. In fact, the desire, or predilection, or bug apparently predates conscious memory. All of my [failed] college essays began with the line, “I wanted to be a writer before I knew how to write,” which came from an anecdote my mother told about how she used to write down bedtime stories that I dictated at the age of two. TBD: How did you learn how to become a writer? JM: I did a lot of workshop-type things between high school and college. Summer Arts Institute in New Jersey was formative, and I studied with poets like the late Kenneth Koch and Robert Kelly in college. But the way I learned to write a novel, a whole, structured work of long-form fiction, instead of just scribbling lines and starts until I’d lost interest, was by reading every book on craft I could get my hands on. I called it my self-inflicted MFA and during the years I was inflicting it, I must’ve read every book in the Writer’s Digest catalog. And a whole lot more. Albert Zuckerman of Writers House fame wrote a great book called Writing the Blockbuster Novel. Donald Maass wrote The Breakout Novel. Anne Lamott, Bret Lott, Stephen King, James N. Frey–not the scandalous one–the list goes on and on and on and on. Those authors schooled me more than any class. TBD: What are some of your favorite books, who were some of your favorite authors, and why? JM: Oh, gosh, this is always the toughest. Impossible really. I loved the great short storyists growing up. Shirley Jackson’s “The Lottery,” Richard Connell’s “The Most Dangerous Game,” W.W. Jacobs’ “The Monkey’s Paw.” Anything by O. Henry. I studied the Victorians in college and all three Bronte sisters, George Eliot, and Henry James were great favorites of mine. But perhaps the most visceral authors, the ones who really took my heart in their hands and squeezed it into a ball, were the great horror writers of the 1970s. Ira Levin, Frank De Felitta, David Seltzer, William Peter Blatty, and of course, Stephen King. TBD: How did you get your first book deal? JM: It took me 11 years, 3 agents, and 8 novels before I finally landed a book deal with Ballantine. How it happened required all eleven of those years: reading those books on craft, going to events at bookstores and seeing how real authors did it, building a circle that included people like you, David, and Arielle. But in the sense that big events do come to one single moment in time…this one rested on a favorite author, Nancy Pickard, who read my eighth novel in manuscript form and passed it on to her editor. I’ve been with the same editor for both books since my debut, and I hope we never part. My third novel is dedicated to Nancy and our mutual editor. TBD: How do you deal with rejection? JM: I stomp around and cry and whine and scream. I break computer screens. Seriously–when a much loved bookstore declined to do an event with me, I fell over my computer sobbing, and the screen cracked. Don’t be like me. Rejection is part and parcel of this business–I just never got good at accepting that. TBD: What is your new book about? JM: If I tell you that As Night Falls is about two convicts, one huge and one wiry, who escape from an Adirondack prison, would you believe me? But on a deeper level, it’s about how a mother’s love can go awry, twisting and thwarting the generations to come in one unending double helix. When the convicts encounter a family contained by a snowstorm in their mountain home, only unveiling the secrets from the past will allow for true escape. TBD: Why did you decide to go on the longest book tour in the world, and how did you go about setting it up? JM: You mean not every published author rents out her house, trades in two cars for an SUV that can handle Denver in February, asks her spouse to work from the front seat while the kids are car-schooled in the back, and hits the road for 50,000 miles? What??? Oh right. My publisher was skeptical, too. But when it takes you eleven years to get published, you either make a lot of friends or a lot of enemies along the way. I was lucky enough to make friends. And when I finally had a book released, I wanted to go out and thank them. Face-to-face. The world’s longest book tour–as Shelf Awareness called it–made the virtual world come alive, and that’s when true magic sparks, in my opinion. And since my debut novel wound up going into six printings in hardcover, people became a little less skeptical. I wouldn’t say that sending authors around the country for seven months has quite become standard operating procedure for the Big 5, but by this third tour, my publisher is helping with some of the events and cost. I also have a crack independent publicity team, a husband who is heck at the traveling salesman problem, and a whole country full of bookstores, libraries, book clubs, writers’ organizations like Sisters in Crime, and readers who know how to unroll one beautiful red carpet. TBD: What are some of the things you love and hate about being a professional writer? JM: At the risk of sounding Pollyanna-like, I love almost everything about it. This might be due to the whole eleven year thing. I’m so grateful to be where I am–I get paid to make up stories, and people actually want to read them–that sometimes it’s hard to see straight. Seeing a book of mine on a shelf catapults me back to the time when I was a small child, reaching for a title, and knowing that a whole other world awaited me inside. Getting to meet other writers, readers, booksellers, librarians, reviewers, journalists, interviewers, radio personalities, TV hosts, editors, agents, publishers…the people who keep this world of words churning, is an honor every single time. Writers’ conferences are sheer bliss for me. There’s one coming up–ThrillerFest–and I get tingles of excitement imagining being there. I honestly can’t think of a more thrilling industry–and we’re not as mean as Hollywood or Nashville. But one thing does bum me out. I have trouble getting past a bad review. At least I haven’t broken any computer screens over a review. Yet. TBD: When you win the Mary Higgins Clark award, does she come to your house and hang out with you? Who do you have to pay to win one of those awards? JM: Well, in all seriousness, Mary does hand the award to you herself. And let me tell you, she is the most elegant doyenne anyone could hope to meet. After eleven years of rejection, that night provided balm for some wounded nerves. I would’ve paid a lot for it, but the truth is I think the awards process is fairly pure. A few years ago, I judged a major award and was a conduit for the most representative taste, not the big hits, nor the expected favorites, or the books that got the biggest push. It’s gratifying to me, especially as we come up to a big election year, that some things really can’t be corrupted. TBD: I hate to ask, but what advice do you have for writers? JM: Do ask! Please ask! I love this one. First, come find me, either virtually or on the road, because sharing, not advice (what do I know? ), but a compendium of perspectives, tips, and stories gleaned from meeting many, many writers, struggling and successful, as well as publishing people, is one of the things I most love to do. But if I had to boil all advice down to one single nugget it would be this. Know that anything we write can always use more work. It is never as good or done as we think it is. Critical feedback is like gold. Whether we accept it or not. Hearing different takes on what we create is the only way we will make it appeal to a broad range of readers. And that’s what we’re all hoping for, isn’t it? That’s why we write and read. To find the story that will carry us away. 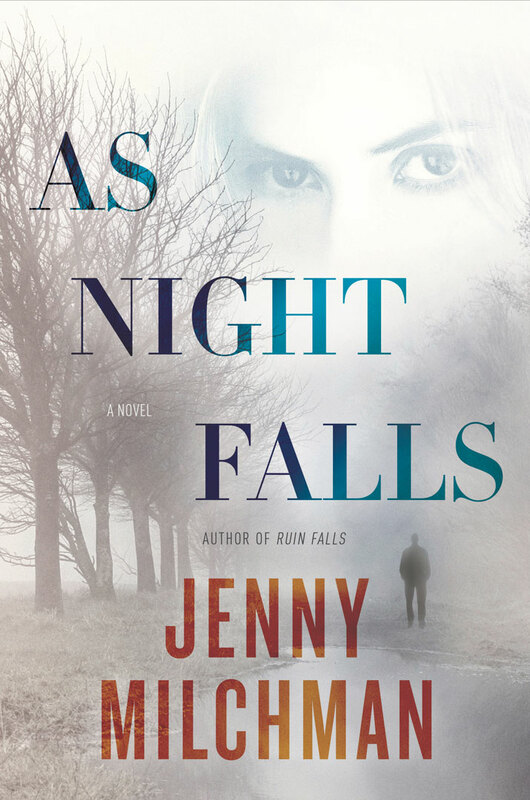 Jenny Milchman is the author of the summer thriller, As Night Falls, a July Indie Next Pick. She has just hit the road on her third “world’s longest book tour.” Find her–literally–at http://jennymilchman.com/tour/bring-on-the-night-2015. To receive more interviews like this one, join our newsletter.